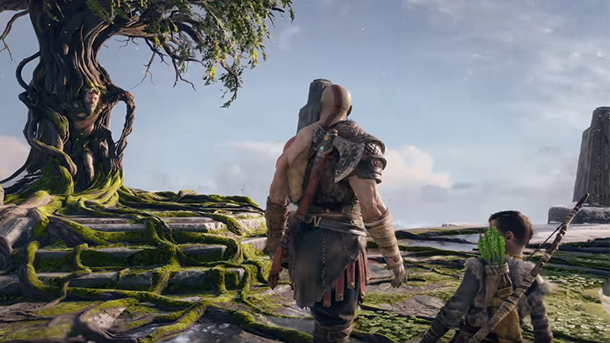 When God of War was revealed back in E3 2016, whatever I was expecting, it wasn’t an older Kratos and a kid chilling in the realm of Norse mythology. Fast-forward to 2018 - after playing all that the much-hyped game has to offer, I can now say that Santa Monica Studio has provided us with something that I didn’t think would work - a matured entry in the series that showcases a vulnerable side to the iconic, violent god Kratos. With a host of major changes, SIE Santa Monica Studio took big risks in bringing back and updating this beloved series, but their work paid off, since God of War is easily the studio’s best title yet. This latest God of War can be experienced even with no prior knowledge of Kratos’ past. If anything, this would be a good starting point for the uninitiated. This time, it’s a journey about a father and son fulfilling a final wish; a child wants to prove himself, and a father tries to let go of his past. It’s hard to believe that this is the same Kratos who, driven by vengeance, was responsible for all the chaos wrought in Olympus. It was refreshing to experience this side of the character, and your progression is tied to the growth of the relationship between father and child and the mutual respect that forms as a result of that journey. The bigger they are, the more creative Kratos gets. They are a capable pair, Kratos and Artreus; the former does what he does best, while the latter supports his father with ranged attacks. It’d be a lonely journey without Artreus’ curiosity; he’s always asking questions, eager to interact with new things, and can even read Norse writing to guide the way. The resistance Kratos expresses during downtime “bonding” moments with the boy is a great treat. Equally impressive is how gradual and naturally this progresses. Artreus is no slouch at combat, either - with a press of a button, he’ll assist Kratos and take on enemies when they’re vulnerable. He’s a capable addition to your arsenal, never a nuisance, and his attacks complement your own, creating satisfying synergies between the duo. Presentation will keep you engaged and ready for more. What would God of War be without epic boss fights? As a friendly reminder that some things (happily) never change, the bouts are just as grand as you’d expect - over-the-top battles with brutal conclusions. The single-shot in-game camera trick (there are no cuts on the over-the-shoulder free camera, unless you die) Santa Monica Studio has implemented proves its worth in the game’s many ‘moments’ - when cinematic showdowns are triggered, for instance, or when characters are experiencing occasions of intimacy. God of War’s visual quality was consistent all throughout. I didn’t even recall detecting any FPS drops, ever. Rare nowadays is a product polished enough to match what Sony has done here. Gameplay is vastly different, but the first hours make it easy to grasp. Kratos’ weapon of choice, the Leviathan Axe, has a handy feature - it can be thrown and recalled by Kratos at the press of a button. It feels great to be able to throw an axe at an enemy, freeze it, go after another, and beat your new foe to a pulp with Kratos’ bare hands. This mechanic never gets tiring even after hours of play, and various unlockable abilities provide different ways of disposing of your enemies. There’s gear to pick up from chests that alter Kratos’ stats, such as improving his defense or increasing damage dealt via abilities. There’s a lot of room for experimentation, which can derail one from the main task, since some players can’t resist a good loot hunt. But during my playthrough, I was able to easily ignore half of the stats available. Focused as I was on seeking out gear with high damage and defense, a lot of items seemed useless to me. Listen to the characters. Don't stop that boat ride and finish those stories. This is a big game. There are side-quests to do and areas with challenging enemies that will put you to the test. It’s another big change for the franchise, but a welcome one, since it gives players a chance to fully experience Santa Monica Studios’ take on Norse mythology. Side-quests are typical content fodder that doesn’t add much to the game’s narrative, providing a decent challenge and reasonable rewards. 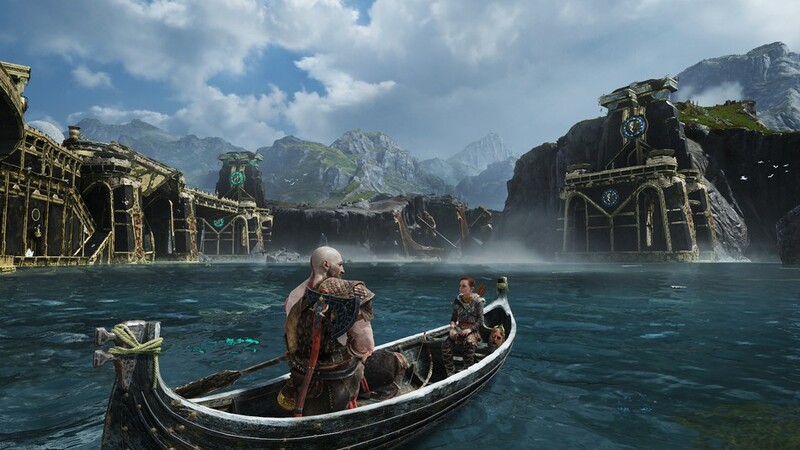 But during all the exploring, what I most appreciated was the banter between Artreus and Kratos - a conversation covering the silence of the boat ride when Kratos was attempting to tell his son a proper story, for instance, was such a treat that I found myself staying on the boat longer to hear how it would end. This is God of War. So the combat is, as always, great, but this time around, it’s the characters who are the true stars, especially Artreus. They’re a likable bunch, all, from the witch in the woods to the dwarves that help you craft and improve your gear. The enemies you face even have reasonable motives for their actions. Once the journey was over, I didn’t want it to be. I wanted to see more of this world. Santa Monica Studio has successfully evolved the series without sacrificing the elements that have kept the God of War titles so beloved by so many, even after a long drought. They’ve crafted a God of War title that took risks while finally providing a solid story (especially compared to previous titles). When you’ve made Kratos a likable character without toning down his rage issues, you know you’ve done something right. Interesting characters in a God of War game are a big, welcome surprise. The best story of the series. Plowing through useless gear is taxing.